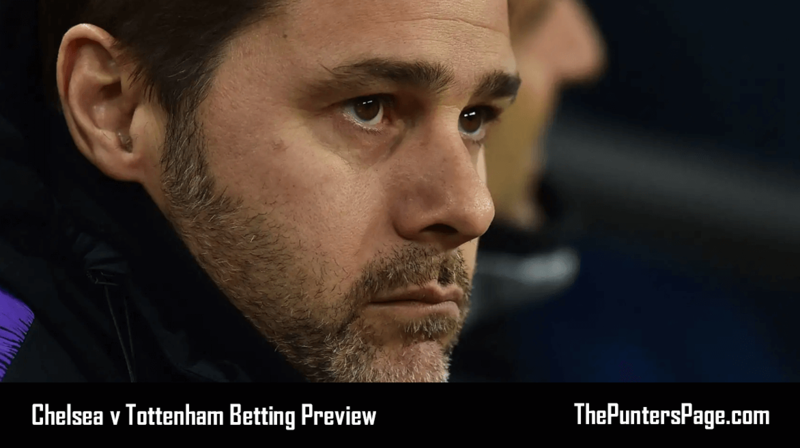 Patrick Gillen (@PatrickGillen94) previews Tottenham v Man City and provides us with his best bets for Monday night’s Premier League encounter at Wembley, analysing team news, potential line-ups, head-to-head, key stats and facts and more. With Tottenham’s Champions League dream seemingly in tatters, Mauricio Pochettino’s side turn their attention back to the league, where a win at home to Manchester City would mean that Spurs would leapfrog the champions in the table. 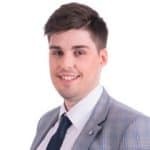 Despite making no summer signings, Spurs have made their best ever start to a Premier League campaign, accruing 21 points from their opening nine fixtures. However, they were perhaps a little fortunate to escape with a 1-0 win against West Ham last weekend, with goalkeeper Hugo Lloris performing heroically to deny the Hammers at the London Stadium. Unbeaten Manchester City, equipped with the returning Kevin De Bruyne, will travel south on Monday with confidence after impressive recent victories against Burnley and Shakhtar. Pep Guardiola’s side have been rampant so far this season on the goal scoring front and sit pretty with a positive goal difference of +23. The Citizens will take confidence from last season’s double over Monday night’s opponents, which included a 3-1 win a Wembley with Jesus, Gundogan and Sterling all on the scoresheet. Both managers will be hoping Sunday’s NFL game at Wembley Stadium doesn’t affect the quality of the playing surface, as their side’s line up for one of the most exciting fixtures of the season so far. Dele Alli is available for selection after missing the last four matches with a hamstring injury. Defenders Jan Vertonghen and Danny Rose will both be noticeable absentees for the home side; they miss out due to respective hamstring and groin problems. For the visitors, Fabian Delph (knee), Ilkay Gundogan (hamstring) and Danilo (ankle) are all doubtful. Tottenham Potential Starting XI: Lloris, Trippier, Sanchez, Alderweireld, Davies, Dier, Winks, Lamela, Eriksen, Son, Kane. Man City Potential Starting XI: Ederson, Walker, Kompany, Laporte, Mendy, Fernandinho, De Bruyne, D Silva, Sterling, Sane, Aguero. Spurs have lost 10 of their last 15 Premier League games against Man City (W4 D1), having lost just three of their first 27 games against them in the competition. Tottenham have won seven and lost none of their last nine Premier League games played on Monday (D2), with their last defeat coming against Norwich in April 2012 (1-2). Man City are unbeaten in six Premier League away games in London (W5 D1), winning the last four in a row. The Citizens could become the first non-London side to win five consecutive Premier League games in the capital. Tottenham have lost just two of their last 21 Premier League games at Wembley Stadium (W15 D4 L2), with one of those defeats coming at the hands of Man City in April (1-3). Man City are unbeaten in their last 15 Premier League games (W12 D3), since a 2-3 defeat to Man Utd in April. City have conceded just six goals in those 15 games and never more than once in a match during this period. Man City boss Pep Guardiola has lost just two of his previous 13 managerial clashes with Mauricio Pochettino (W7 D4 L2) – Guardiola could win three in a row versus the Argentine for the first time. Since Mauricio Pochettino became Spurs manager in 2014-15, only Arsenal (37) have won fewer points in Premier League games between the ‘big six’ than the Lilywhites (54). Tottenham’s Erik Lamela has been directly involved in four goals in five Premier League games this season (three goals, one assist), the same total he registered in 25 games last term (two goals, two assists). Man City’s Sergio Aguero scored 10 goals in his first seven Premier League games against Spurs – since then, he’s failed to find the net in five appearances against them. Tottenham have found a way to grind out results even when they aren’t at their best recently, which is a good sign. However, nothing but their best will be good enough on Monday night against a Man City side that have continued their magnificent form from last season. Spurs were poor in a similarly big game at home to Liverpool earlier in the season and, with the firepower at City’s disposal, it’s hard to look past an away win.